Packaging plays a key role in retail marketing. This is even more particular to marketing in a supermarket setting – which is why Doritos’ plain packaging move might make it stand out. Doritos has begun marketing its latest chips in plain silver coloured packs in the US, removing all visual aid. The packs simply have labels plastered in red, yellow and blue with a generic batch numbers. Nothing else is revealed about the flavours. The experiment, titled “Bold Flavor Experiment”, encourages consumers to try the three different flavours and vote for their favorite. The most voted flavour will then hit the stands later in the year as a new product for the brand. 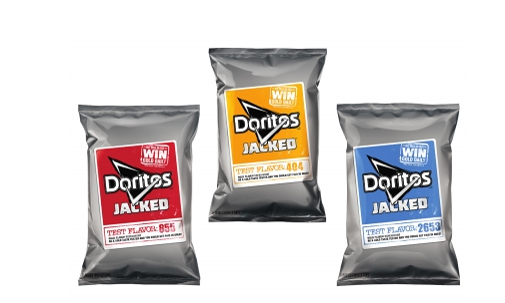 “There’s nothing as bold as stepping into the unknown, and crunching into an unknown mystery chip with over-the-top flavor is one way we’re inviting fans to be bold with the Doritos brand,” said Ram Krishnan, vice president of marketing, Frito-Lay. Dominic Twyford, client director at Landor said the move would draw existing customers to the brand. “It will make existing customers feel like a part of the brand, mirroring the co-creation trend that is increasingly popular at the moment and attract new customers to try the brand,” Twyford added. “These marketing stunts allow the brand to remain fresh, yet familiar,” she added. "Please hor, we are much more than an airport okay?".. AirAsia has introduced a regional pass for 499 ringgit, in a bid to pull up flagging profits. Will it work?..